No expansion of God of War IV is going to release but you can expect anniversary content. Director Corey Barlog tweeted that no DLC is going to come out but anniversary content which includes themes, avatars & more stuff is in development. God of War director Corey Barlog announced the cancellation of God of War expansion, although they had plans to deliver a DLC but it was very ambitious for the delivery method. 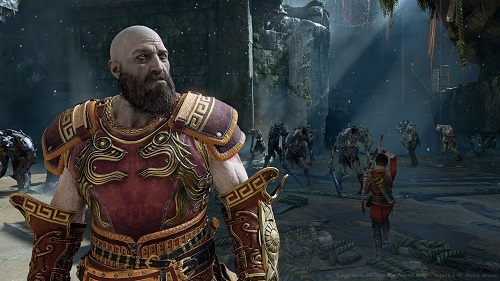 God of War was highly praised after its release & it also received multiple Game of the Year awards. Speaking to IGN, Barlog said that he had plans to add extra content to the main game but the content would be too big to be considered as expansion. He has interesting ideas but he thinks that it would take more time than a normal DLC would take. Hopefully we will be able to see a fresh sequel in the God of War series. God of War is definitely going for a new game rather than a DLC.